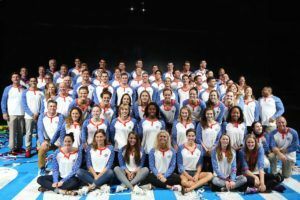 After an eventful night one at the 2016 U.S Olympic Trials, more of America’s big stars will step up to the blocks for their first races including Missy Franklin, Natalie Coughlin, and Katie Ledecky. Coughlin and Franklin will be facing off in the 100m backstroke this morning in order to both secure a spot in the semifinals. 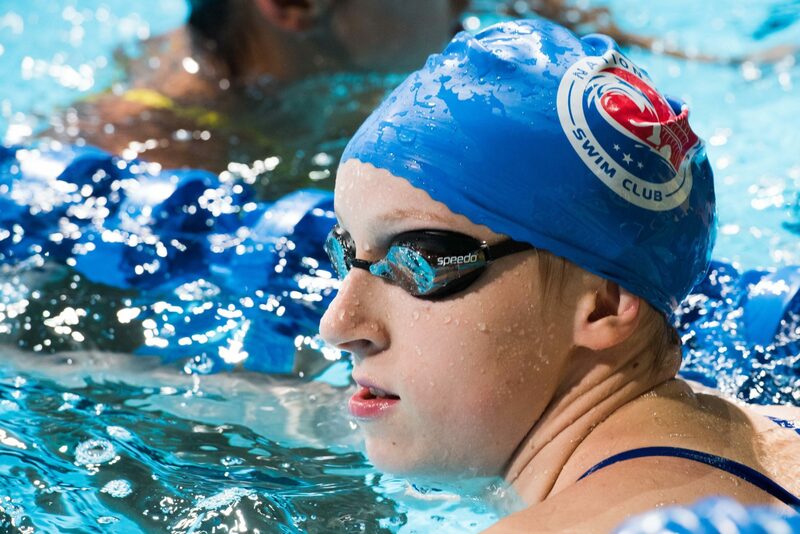 Coughlin’s been on the come-up in this event after shying away from it post-London, but a promising return to it at the Pan American Games on the relay brings her back in full swing. The men’s 200 free will give us an idea of a possible six that could be on the relay come Rio. Redemption is also in order for Ryan Lochte as he’ll look to make the semifinals in hopes of qualifying for the team later on in the meet after failing to in the 400m IM on night one. Katie Meili will have her work cut out for her in the top seed of the 100m breaststroke. With plenty of new talent emerging in this event, the prelims should give us a clear cut idea as to who’s on their game, setting up a picture of who the finalists might be. Just like the women’s 100m breaststroke, there’s plenty of depth in the men’s 100m backstroke as always. Ryan Murphy is the talk of the town, and today will give us a first picture of what he looks like primed at the Olympic Trials. Katie Ledecky will be making her first appearance as she attempts to qualify for the final in the 400m freestyle. As always, Ledecky has been throwing down superb in-season swims so there’s no telling just how she’ll swim in Omaha. With six roster spots on the line tonight, once again things are getting heated. Neither Natalie Coughlin or Missy Franklin stole the show this morning; rather it was Olivia Smoliga and Amy Bilquist who posted the top two times to lead the charge heading into tonight’s semifinals. Swimming in heat 14, Smoliga was the first one under one-minute sporting a 59.65 at the touch. Right behind her was Hannah Stevens in 59.72 who took the third overall seed behind Smoliga and Bilquist. 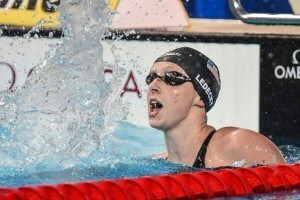 Despite a slow start, Missy Franklin came back to win heat 15 in a time of 1:00.35. Although the time doesn’t stand out, it gets her a second swim in tonight’s semifinals which is all she needed. Bilquist won the final heat, taking down both Ali Deloof, who was a 1:00.09, and Coughlin. Coughlin finished third in the final heat well off her best time with a 1:00.75. Just like Franklin, it’s not a standout time, but will secure her a spot in the semifinals. Conor Dwyer made sure to put himself way in front of everyone else this morning with a swift 1:46.65 performance to give him the number one seed. Racing right beside him in heat 10 was Texas standout Jack Conger who moved up on Dwyer on the last 100 to take the second overall seed in 1:47.25. The two bettered the 1:47.68 performance from Clark Smith in heat nine; a time which gave him the third overall seed ahead of Townley Haas. Much like the Dwyer-Conger showdown, heat 11 featured Haas chasing down mulit-time Olympic medallist Ryan Lochte. 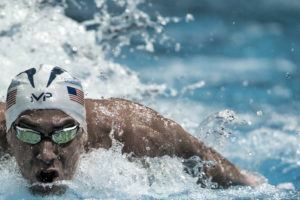 Lochte had control of the race for 190 meters, but on the final 10 Haas charged him down. A long slow finish by Lochte gave the heat 11 win to Haas in 1:47.74 as Lochte finished in 1:47.77. Gunnar Bentz, Blake Pieroni, and Tyler Clary make up the remaining top eight. The most notable absent name from the top 16 is Texas swimmer Clay Youngquist, who was a member of the 2015 World Championship team for the states although he didn’t swim at the meet. 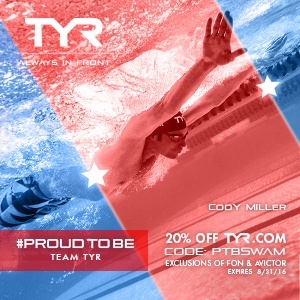 Only two swimmers from the London 2012 4x200m freestyle relay (Lochte and Dwyer) will compete in these semifinals. 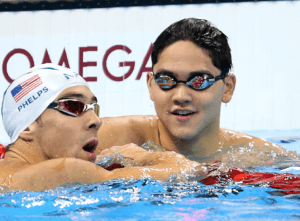 The 100m breaststroke was anticipated to be one of the tightest races at the 2016 U.S Olympic Trials, and thus far it’s exceeded expectations as plenty of talented swimmers have qualified for tonight’s semifinal. Lilly King led the way with a 1:06.45, the first sub-1:07 performance of the morning, in heat 12. Flying to the wall she took down Jessica Hardy who touched in with a 1:07.16 which gives her the fourth seed overall. In heat 13, Katie Meili also managed to dip under 1:07, sporting 1 :06.57 which sets her up as a leader with King. Although the two are out in front, Sarah Haase of Stanford wasn’t too far behind. Haase will take the third seed heading into semifinals with a 1:07.04. 2012 Olympic Trials champion Breeja Larson managed to sneak into the top eight with a 1:07.37 swim. She’s just one seed behind Micah Lawrence who put up a 1:07.35. With so many talented swimmers in the top 16, tonight’s semifinals should give a clearer picture of who might represent the United States come Rio. Ryan Murphy was the first man to drop a sub 54-second swim this morning with a 53.84. The time was well over his current season best of 52.57, but good enough to get him the fourth seed overall heading into the semifinals. Heat eighteen had Matt Grevers‘ name all over it, 17-year-old Michael Taylor however wasn’t worried about that. 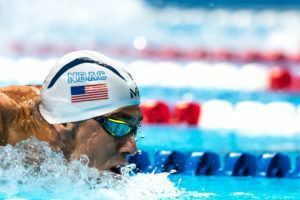 Coming home strong he charged down the 2012 Olymipic gold medallist en route to a 53.77 performance, the second fastest swim by a 17/18-year-old American of all time. Taylor beat Grevers to the wall who had to settle for second in his head with a 53.98. The two are seeded third and fifth respectively. The final heat held all the prelim speed as David Plummer stretched out for a 53.22 to take the top spot heading into the semifinals. In comparison to the 52.40 he swam earlier this month in Indianapolis, it’s nothing special, however it puts him in the right position to get into that territory later in the meet. Jacob Pebley was right behind Plummer in 53.48 to take the second seed overall. A three-way tie for fifteenth between Austin Katz, Cameron Craig, and Carter Griffin will result in a swim-off later in the session. After the first seven heats it’s no Surprise to see Katie Ledecky with the top seed. Ledecky toyed with world record pace for the first half of her swim before putting it on cruise control in order to ease into a 4:02.62. That time was less than a second faster than Leah Smith who as of now appears to be in a great position to grab the second roster spot behind Ledecky in tonight’s final. She was battling things out with Allison Schmitt. Schmitt’s time of 4:06.66 is currently the third fastest time this morning and looks as though it will stay that way through the remaining heats. 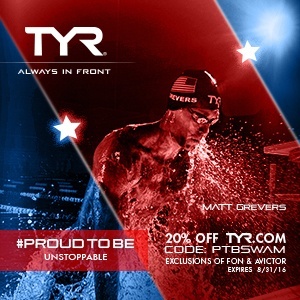 Will we see a WR or AR go down today in 100 bk, br, or 400 free? AR in the men’s 100 breast is likely. i dont see any WRs, but ledecky might prove me wrong! Let us all glory in this fabulous event. We welcome every coming convert and future devotee of the sport, all of whom just now are coming to recognize its majesty via prime time television. 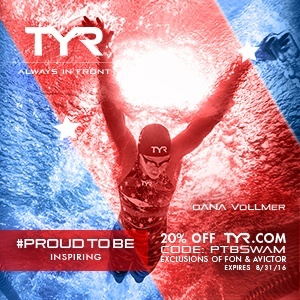 Swimming in America seems poised at last to become one of the great darlings of the country-at-large. Whatever the changes in things this wreaks — and there inevitably will be some that vex as others charm and delight — those of us who have loved it lifelong are thrilled for the expansion and growth. Come sample the perfection of it. I can’t get over how great this U.S. trials is! 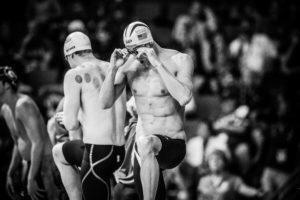 For the sake of avoiding heart break I hope Plummer and Grevers get the spots in the men’s 100 back. Murphy is almost guaranteed a spot on the 200 back so best of both worlds is all three get a swim. Plus Grevers gets to defend his title. Sorry. If only the sport of swimming was kind. May the fastest swimmers prevail.